It’s November! Tis the season for increased identity theft. The increased risk is due to the sheer number of transactions, hacking attempts, and ecommerce fraud attempts, which is staggering. Even more staggering? According to a report by the Identity Theft Resource Center, while most consumers detect identity theft within three months about 16% of consumers won’t detect identity theft for three years. Wow. One of the more surprising things I read on this topic is that stolen personal information was widely used to purchase very authentic looking “fake” paychecks and other documents online, which thieves used to open accounts and even rent apartments. Since chip cards are making it harder to commit credit card fraud, auto loan fraud is growing. And the thieves are creating “synthetic identities” where the fraudsters steal some of a consumers real information and combine it with fake information, such as using a new address for statements. The consistent thread in all identity theft schemes is that a fraudster has a consumer’s personal information. Maybe not everything, but enough to convince someone else that the thief is really the identity of the victim. And the credit bureaus have that personal information. They have it all. The three credit reporting bureaus are goldmines for personal information for ID thieves, and these keepers of your info have been hacked by savvy criminals to get it. The only option is to freeze your credit report. 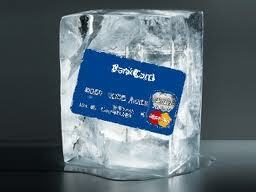 A “credit freeze” restricts access to your credit reports to themselves and currently open accounts. But not everyone took the steps required to freeze accounts, even if they were not looking to open new credit, because those freezes averaged about $30.00 and were only free AFTER they were a victim of ID theft. And there were additional fees to “thaw” the account for access by new lenders for a specified period of time. But now all of those fees are gone. You do not have to pay a fee anymore. New credit law changes, effective September 21, 2018, mean any consumer can freeze and unfreeze their credit file for free. Here’s what you need to know. 1. You have to contact each bureau individually to have the freeze placed on each. Here are the contact links and numbers to do so. You will have to verify your identity with personal info to freeze your reports, so have that ready. 2. You can get a free freeze for your children who are under 16. And you can also place a free freeze for anyone that you have a valid power of attorney for, when you are a fiduciary, guardian or a conservator. 3. You can still access your own credit reporting records and can order your free annual credit reports from www.annualcreditreport.com. Make sure you only use Annual Credit report, that’s the free one authorized by federal law. 4. Any current creditors or debt collectors will continue to have access after the freeze is placed. For more information, you can read the Frequently Asked Questions (FAQ’s) directly from the Federal Trade Commission. I encourage every consumer to set aside time before the holidays to put freezes on their credit reports, which will help to protect themselves, their children, and people at risk, from identity theft.